Provide comfort for the family of Michael Mettalia with a meaningful gesture of sympathy. 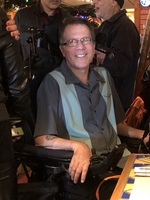 Michael James Mettalia of Perkasie, PA passed away at his residence surrounded by his family on Friday, March 1, 2019. He was 56. Born in Philadelphia, PA Mike was a resident of Quakertown and Sellersville before moving to Perkasie, PA.
Mike was known as a blues musician and band leader. 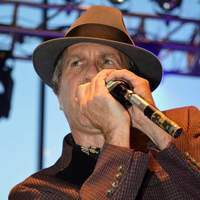 He wrote music, played the harmonica, and sang in the band called Mike Mettalia & Midnight Shift. He formed Midnight Shift in 2005 which released 4 albums: Bulletproof, Rhythm Rockin’ Boogie, Midnight Sun, and Crescent Moon. He also played in a former band called Crosscut Saw in the 90s and played with Illinois Slim and The Maxwell Street Band in early 2000. In April 2018, Mike was inducted into the Blues Hall of Fame. Mike travelled and played in Lehigh, Montgomery and Bucks county areas with his bands; enjoyed running; and was a US Army Veteran. He was the beloved son of Joseph B. Mettalia Jr and Joyce (Ryan) Mettalia; dear brother of Joe Mettalia and Karen Tatarowicz; loving uncle of Joseph and Zachary Mettalia, Aubrey, Benjamin, and Michael Tatarowicz. Mike was preceded in death by his nephew Nicholas Tatarowicz. He was loved and admired by his extended Midnight Shift family of Mike McMillan, Paul Pluta, and Tim Smith. A memorial service will be held at the Varcoe-Thomas Funeral Home, 344 North Main Street, Doylestown, PA 18901 on Friday, March 8, 2019 at 11:00 am. The family will receive their friends from 10:00-11:00 am at the funeral home prior to the service. In lieu of flowers, memorial gifts to ALS Therapy Development Institute, 300 Technology Square, Suite 400, Cambridge, MA 02139 or www.als.net would be appreciated. To send flowers in memory of Michael James Mettalia, please visit our Heartfelt Sympathies Store. The family will receive their friends from 10:00-11:00 am at the funeral home prior to the service. 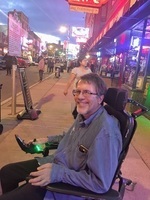 Donations are being accepted for: ALS Therapy Development Institute. Mike,Paul and Tim-The Midnight Shift and Coleen Ryan have sent flowers to the family of Michael James Mettalia. Mike will always be remembered for being a very kind, thoughtful and positive thinking person. We are all fortunate for having been a friend of Mike and his positive influences on our lives. A huge thanks to Karen and her family who cared for Mike after he was diagnosed with ALS, he was very fortunate to have you care for him. In loving memory and tribute to a great friend and artist, we feel privilege to have known you and to have shared the gift of music. You will always be in our hearts. Mike,Paul and Tim-The Midnight Shift purchased flowers for the family of Michael Mettalia. 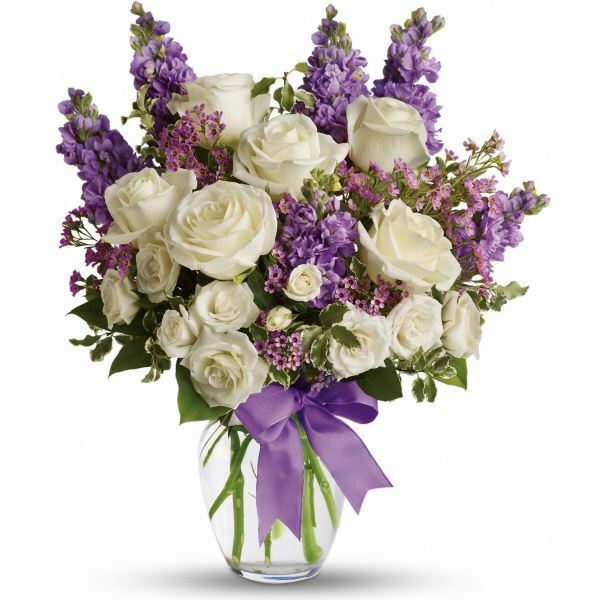 With deepest sympathy, your friends and colleagues at Merck & Co.
Heartfelt Sympathies Store purchased flowers for the family of Michael Mettalia.